Sarah graduated from Edinburgh College of Art with a BA (Hons) in Drawing and Painting in 2011. 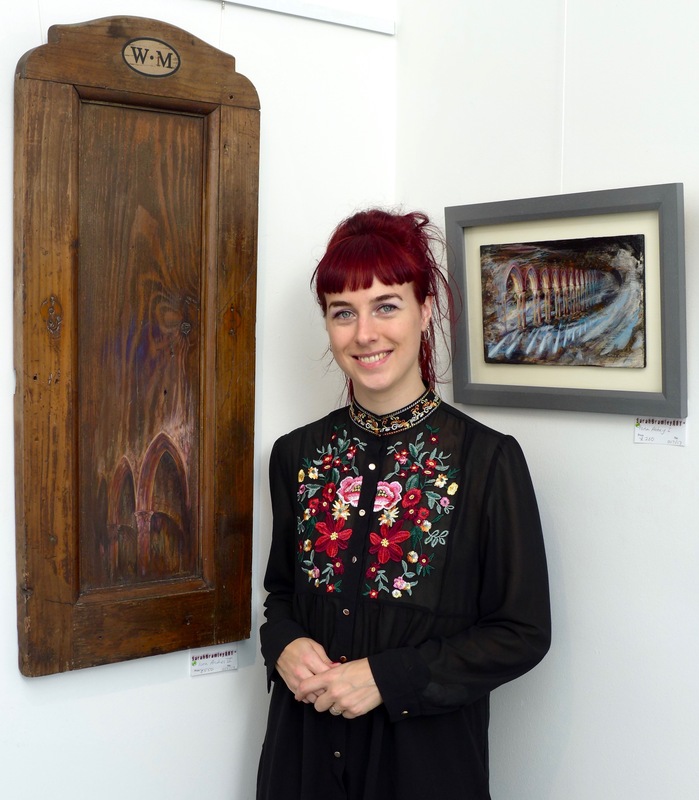 Since then she has continued to develop her style, using acrylic on board to produce atmospheric and evocative work, drawing on inspiration ranging from architecture to remnants and photographs of a bygone era. Sarah works from her home studio in Leith, Edinburgh. In her latest series, Sarah explores the themes of wrecks and religious buildings, whilst drawing fresh inspiration from the rich heritage of Scotland’s fishing industry. Sarah especially interested in working tangible figures into quite abstract landscapes, as demonstrated in her WWI series. Her aim is to portray moods both light and dark, and bring another dimension to old, forgotten photographs. Sarah also makes her own frames at her framing studio in Dunblane, so each frame is tailored to suit the piece it is matched to.